Women with vulvar cancer who test positive for human papillomavirus (HPV) may have improved survival compared with HPV-negative patients, according to the results of a new study. 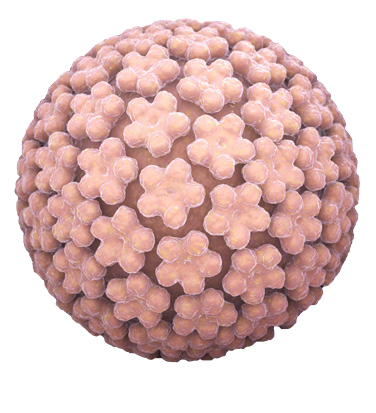 WOMEN WITH VULVAR CANCERS who test positive for human papillomavirus (HPV) may have improved survival compared with HPV-negative patients, according to the results of a new study. The meta-analysis involved 18 studies that included 1,638 women, ranging in age from their early 60s to early 70s, with vulvar cancers tested for HPV (541 positive and 1,097 negative). The researchers examined overall survival, disease-free survival, disease-specific survival and progression-free survival. The researchers found that among women who were alive five years after their cancer was diagnosed, 50 to 86 percent were HPVpositive and 43 to 71 percent were HPV-negative. In addition, disease-free, disease-specific and progression-free survival pointed toward more favorable outcomes among women with HPV-positive vulvar cancers compared with HPV-negative, the authors concluded. “This could be of great clinical interest and provides insight into the differences in the natural history of HPV-positive and -negative vulvar cancers,” they wrote.